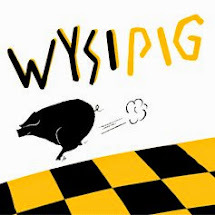 This Saturday, 12 December from 10 AM to 4 PM is the last special open day at Wysipig before Christmas. We will have all our usual pork products and you will be able to order everything you need for Christmas including turkeys, Gammons, bacon and sausages. This year Kevin is making a range of delicious flavours including the customer favourite from last year ' chestnut with sage and onion'. Saturday is the last chance for Christmas orders, although as usual we will always try to help if he forgotten something! Don't forget we offer a free delivery service or even join us at the shop in Christmas week where there is always a friendly welcome. Call us for more information or to place an order on (07774) 989362 or (0118) 976 2221. We are open from Wednesday to Sunday from 10 AM to 4 PM but in addition we will be open every day in Christmas week. Christmas is fast approaching at ‘Wysipig’ in Arborfield, the farm will have lots of great things on offer at its monthly open day this Saturday 12th November from 10am to 4pm. Why not come and join us and get into that Christmas spirit. Customers will be able to try samples and discuss Christmas orders for turkeys, gammons, sausages from the great range of meat and other products. The farm shop is packed with Christmas goodies and visitors can place their orders to be collected or take advantage of the free delivery service. For Christmas the farm has a great display of gifts on offer in the shop, come along and have a browse, there is a wide range of suitable presents for all the family as well as lots of other interesting bits and pieces. As usual there will be ‘Wysipig Breakfast Baps’, hog roast rolls for lunch, teas and cakes. Kevin our master butcher will be on hand to help with advice on ordering and cooking tips, they look forward to meeting you. The Wysipig farm shop open day is tomorrow 9th October from 10 AM until 4 PM. As of today there is just 11 weeks to go before Christmas and the team will be on hand to talk to you about this years range of goodies, the pre-Christmas taster day will be on Saturday, November 14th when customers will be able to sample turkey, gammon, and seasonal sausages before placing their orders. Collection days will be 22nd and 23rd of December and as usual we will be offering our redelivery service. More information about Christmas products will be posted on this website during November. Well summer is nearly over that despite a quick shower early this morning the weather looks like it can be a nice day. Why not come up for our open day and enjoyed hog roast rolls for lunch or tea and cakes. The next open days in October and November are the pre-Christmas taster events and we look forward to seeing as many of her regular customers as well as new ones on those days keep an eye on this blog to find out more details. This month Mandy is running her doggie awareness day 'Woof in the Woods' with friendly helpful advice on how to look after and control dogs in the countryside. As usual there are 'Giant Breakfast Baps', 'Hog Roast rolls' for lunch and tea and cakes. Don't forget the campsite is open and theres plenty of space. Its our monthly farm shop special day from 10am until 4pm, why not come along an enjoy a hog roast roll for lunch or just tea and cakes. Well spring is here at least for Easter week anyway, let's hope the traditional April showers stay away this weekend! Wysipig at Ellis's Hill farm shop is having its monthly open day this Saturday, April 11 from 10 AM until 4 PM why not pop along and walk round the woods and come into the shop for breakfast baps, hog roast rolls for lunch or simply tea and cakes. Our resident master butcher Kevin Turner will be on hand to help you choose from some of our wonderful pork products including sausages, bacon, and pork joints, we will also have some free range chicken available. We look forward to seeing over the weekend. Well Easter is here and we are open all weekend and are looking forward to welcoming all our regular customers and some new ones as well ! We will be open for breakfast baps and hope to see some of our regular trail bike riders coming in for a break. If you're out for a walk why not pop in for tea and cakes. If your group is interested why not give us a call on (07795) 010820 or come up and have a chat about any ideas you may have. The farm also has a campsite and last year several motorcycle clubs enjoyed a weekend camp with a barbecue on Saturday evening and Sunday morning breakfast in the farm shop. This Saturday, 14 March is our regular monthly open day special. Join us any time from 10 AM to 4 PM, for ' Breakfast Baps', ' Hog Roast Rolls' and tea and cakes as well of course our full range of pork and bacon products. the shop also stocks pickles, artisan drinks and other goodies. There is also a range of gifts for sale. We look forward to seeing you, please call or email us if you require any further information.